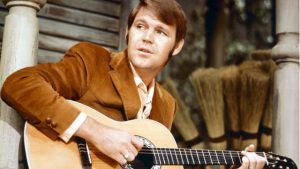 The legendary country music star has passed away at 81, but here are a few facts you may not know. 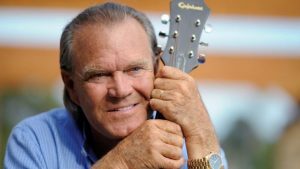 Glen Campbell — legendary country music singer best known for his 1975 hit, “Rhinestone Cowboy” — has died after a long battle with Alzheimer’s. TMZ reports Campbell died Tuesday around 10 AM in a Nashville facility for Alzheimer’s patients. There are a few facts that you may not have known about the country crooner that we all remember so fondly. He released more than 70 albums and has sold 45 million records. He was a touring member of the Beach Boys: On Christmas Eve 1964, Campbell made his debut as a Beach Boy, filling in for Brian Wilson at a show in Houston. Campbell had previously played as a session musician for the band, and was called in as a temporary replacement for Wilson after he canceled several dates due to a nervous breakdown. John Wayne handpicked him for a movie: Wayne personally picked Campbell to star alongside him in the 1969 movie “True Grit.” Campbell received a Golden Globe nod for his performance and was nominated for an Oscar for the film’s title song. His last song won a Grammy Award: The singer won the Grammy for best country song for “I’m Not Gonna Miss You,” the final song he wrote and recorded with collaborator Julian Raymond on the heels of his Alzheimer’s diagnosis. In June, Campbell released his final album, Adios, which was produced by his former bandmate and longtime friend Carl Jackson. The bittersweet record includes a duet with fellow legend Willie Nelson on Funny How Time Slips Away. Vince Gill contributes harmony vocals to Am I All Alone (Or Is It Only Me). Ashley Campbell appears on several tracks, including Postcard From Paris, which also features sons Cal and Shannon Campbell. Campbell is survived by his wife, Kim Campbell of Nashville; their three children, Cal, Shannon and Ashley; his children from previous marriages, Debby, Kelli, Travis, Kane and Dillon; ten grandchildren, great- and great-great-grandchildren; sisters Barbara, Sandra and Jane; and brothers John Wallace “Shorty” and Gerald. Glen Campbell, Collin Raye, and Gary Chapman in 1997 on Nashville Now! Previous articleThey Are Killing Kids! Next articleYou Better Beat Those Kids!